Stand with Us by National Review, Inc.
National Review, Inc. hasn't added a story. For over 62 years, National Review has fought, mano a mano, through thick and thin, with you at our side, on behalf of the causes it espouses and the movement Bill Buckley founded. The one thing that has made that possible is the financial support of committed conservatives who know a strong NR is vital to those things we believe and cherish. Your generous contribution supports the journalism, commentary, and opinion-writing published in National Review magazine and on National Review Online. * Please note that your contribution, while vitally important, is not tax deductible. *If you prefer to send a check, please mail it to: National Review, 19 West 44th Street, Suite 1701, New York, NY 10036. National Review, Inc. hasn't posted any updates yet. National Review, Inc. is managing the funds for this campaign. 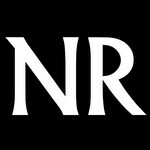 National Review, Inc. is a verified organization.